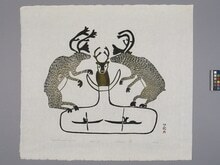 Item number 2871/13 from the MOA: University of British Columbia. 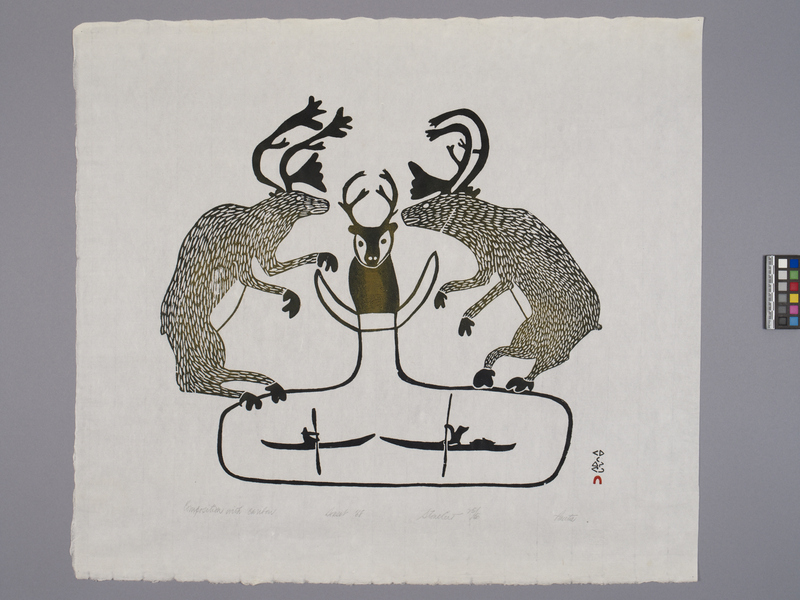 Stonecut print of two large caribou facing each other and a smaller front facing caribou; their feet are on a large black outline resembling a fishtail shape. Inside the black outline are two kayakers facing each other. There is a Dorset stamp in the bottom right corner. Inscription along bottom: "Composition with Caribou Dorset '68 Stonecut 25/50 Pauta".